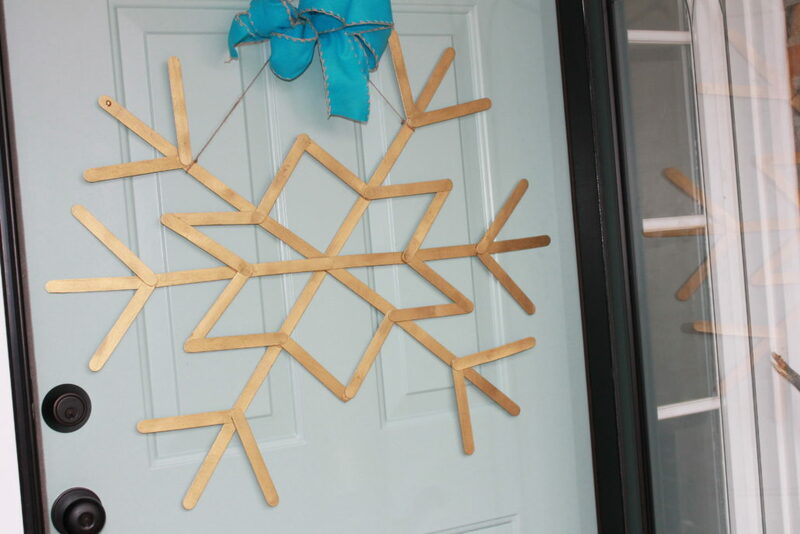 How totally ADORABLE is this golden snowflake door decor?! 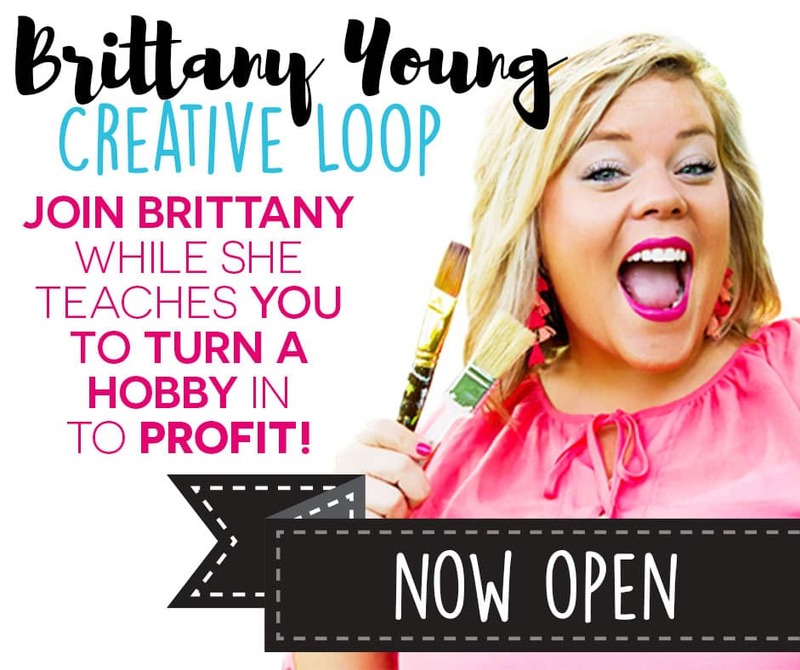 Gather up your supplies! 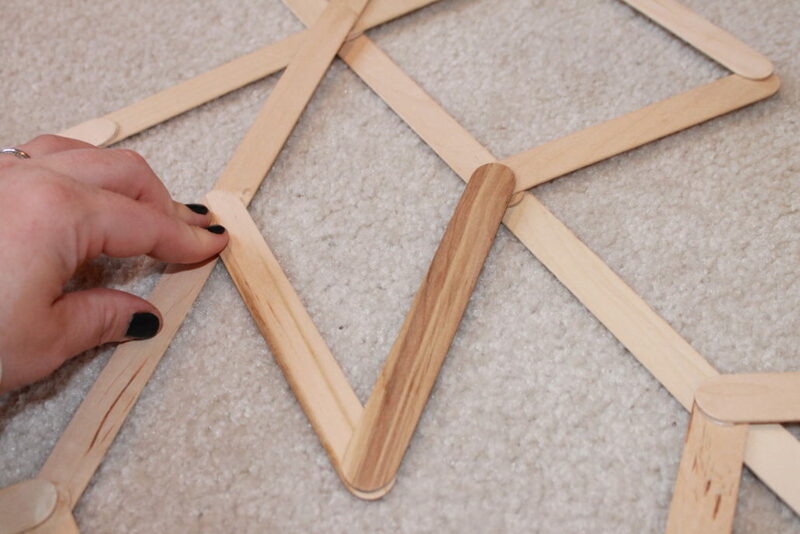 You’ll need popsicle sticks, hot glue gun & sticks, and a ribbon or bow to finish it off. 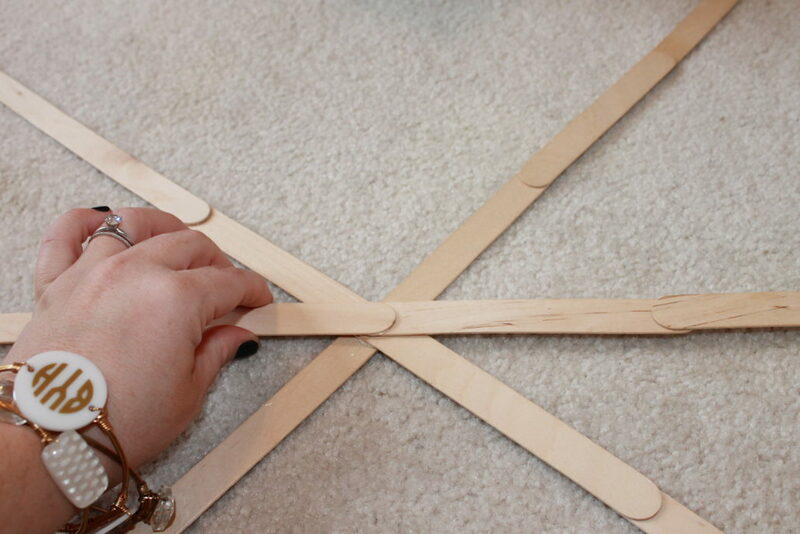 Criss cross 2 of your strips to create an “X” and glue in place. 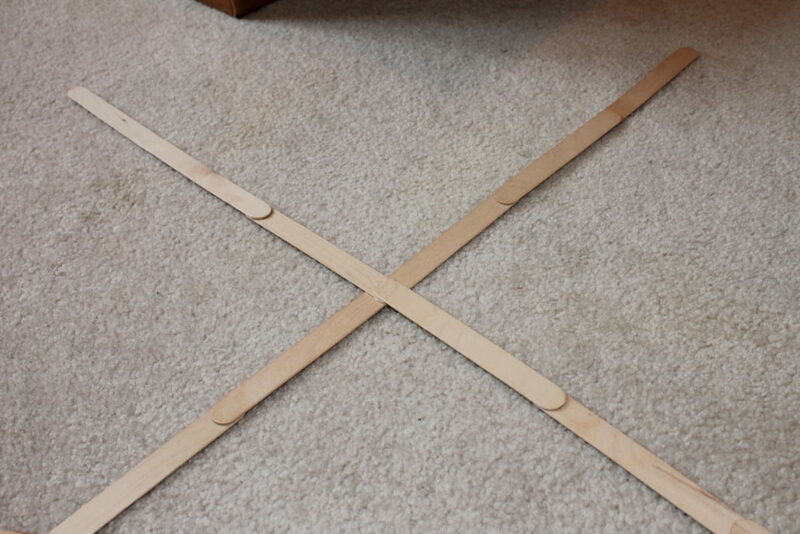 Lay your third strip down in the center and glue in place. 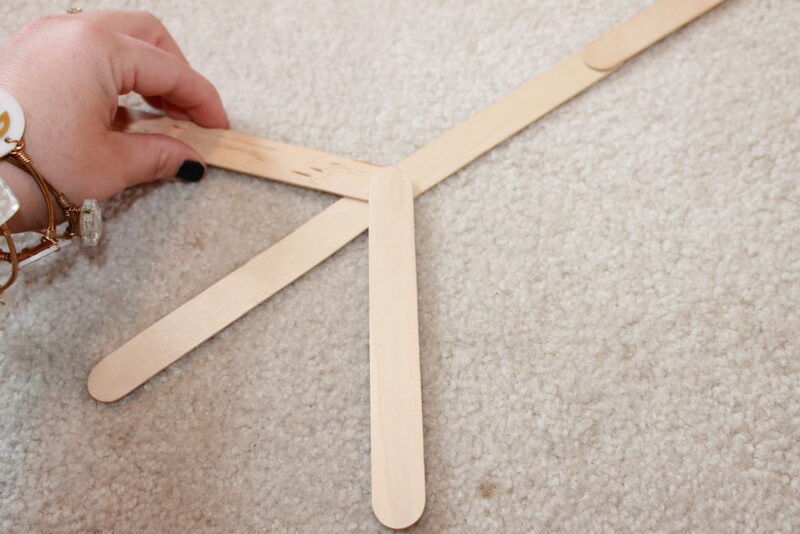 Starting at the center of your snowflake, go 2/3 of the way up one of the strips, take one popsicle stick and start a little “branch” out to the side angled upward. 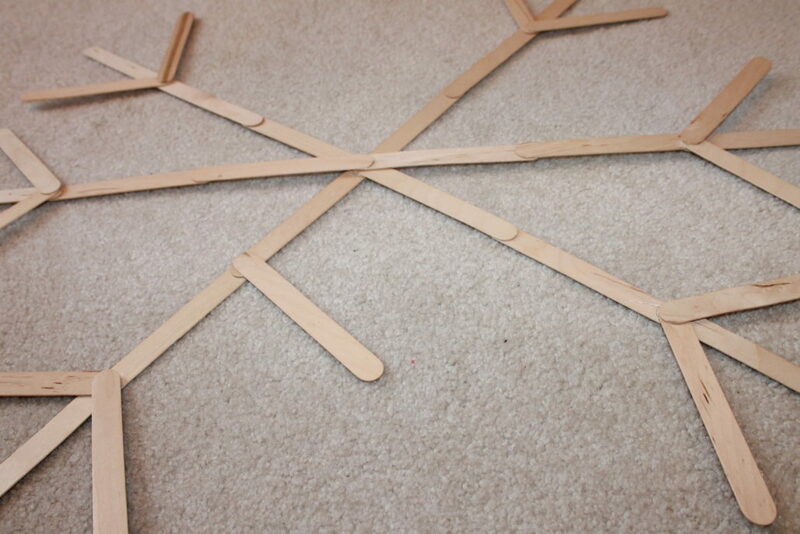 Lay another little “branch” the same way on the opposite side, so that they are mirrored. 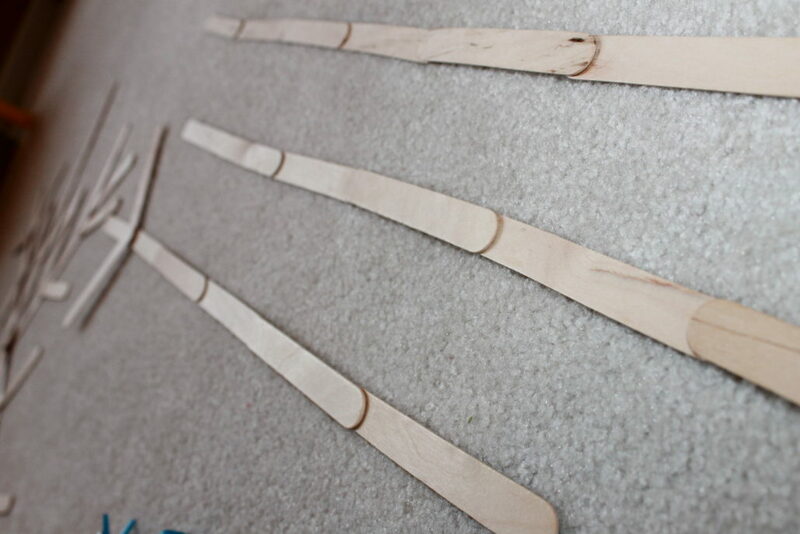 Continue making these mirrored branches on the end of each strip all the way around! Move over to your next strip. 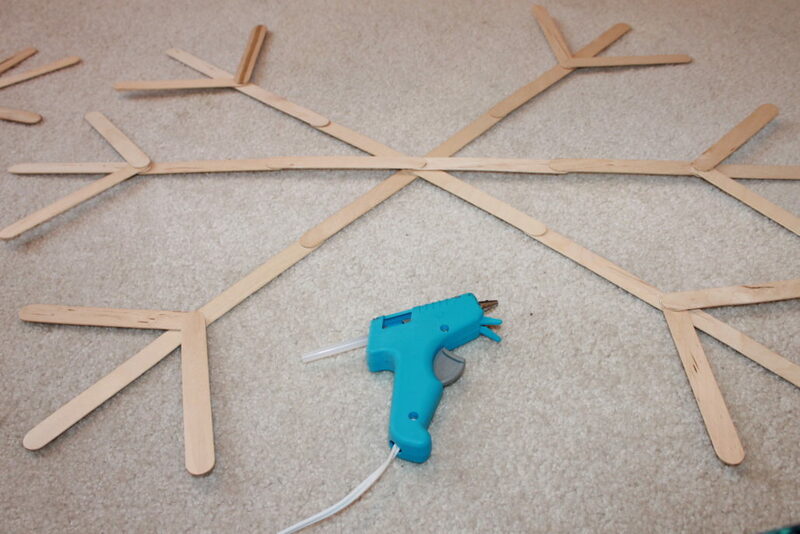 Again, starting at your center, go 1/3 of the way up the strip and start another little “branch” angled away from the center of your snowflake, and toward your other inner “branch” so that they overlap slightly where they meet so that you can glue them. Continue this all the way around your snowflake until you have created almost like a little star shape in the center of your snowflake! So cute! 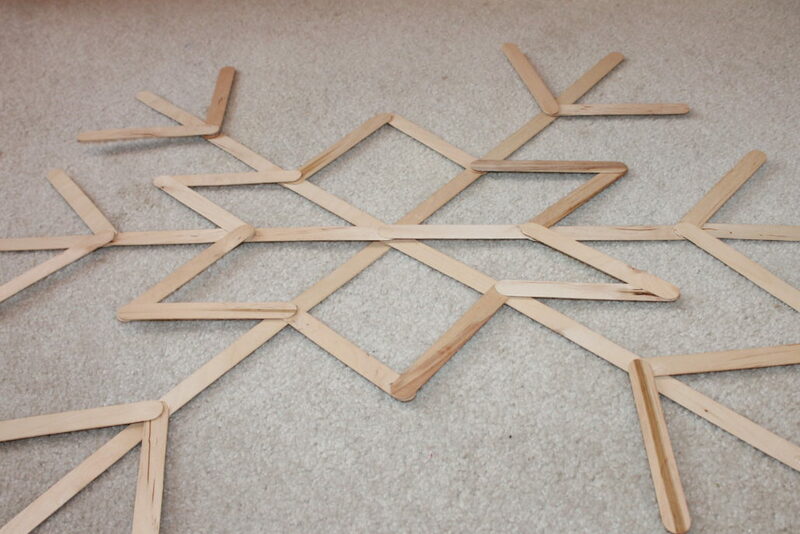 At this point you may wish to do a number of finishing touches on your snowflake! I spray painted mine gold! You might prefer white, or silver, or even GLITTER! If you happen to notice any little imperfections in your snowflake (I felt like that space was just too much on mine there at the top) it’s okay! All snowflakes are unique and different! 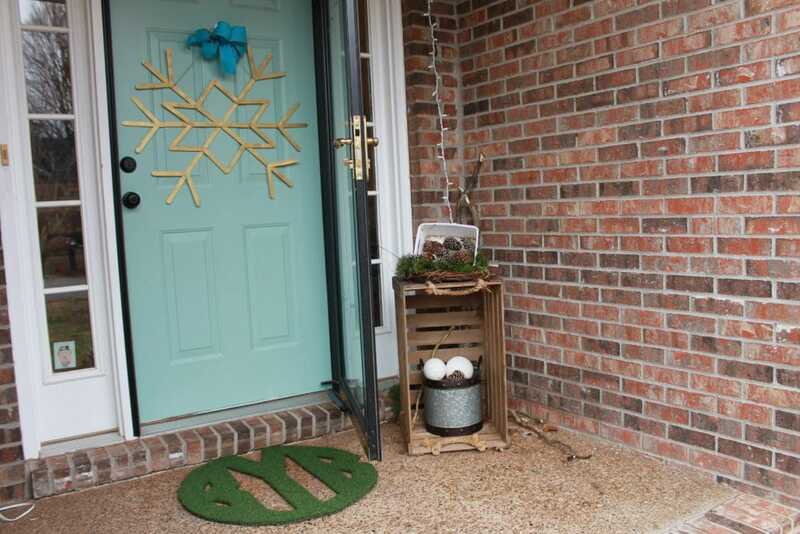 Hang up that whimsical winter wonder with some twine and a cute bow and listen as the compliments come rolling in! #Live ❄️ golden snowflake ❄️ join me???? !